Senate Boosts REAP and Biorefinery Funding for Next Year! Another key funding victory for the Farm Bill Energy Title! 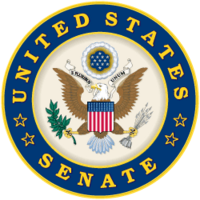 On August 4, 2009, the full U.S. Senate passed the FY 2010 Agriculture appropriations budget. The Senate’s budget doubles total REAP funding by adding an additional $68.1 million in discretionary funding, and boosts the Biorefinery Assistance Program funding by $17.339 million. The Senate’s vote endorsed the earlier Senate Appropriations Committee’s FY 2010 budget proposal. By adding $68.1 million in discretionary funding, the Senate’s proposal would boost total REAP funding for next year to $128.1 million ($60 million in mandatory funding + $68.1 million in discretionary funding). The Senate’s action also boosts total Biorefinery Assistance funding to $262.339 million ($245 million in mandatory funding + $17.339 million in discretionary funding). The Senate’s vote is a victory for the Environmental Law and Policy Center, which works closely with agricultural and environmental groups to build broad support for farm energy programs that help farmers and rural small businesses. ELPC applauds the Senate’s action; these energy programs help farmers and spur rural economic development, while helping America tackle global warming challenges. Next step: Congress needs to reconcile the Senate and House spending proposals in a Conference Committee. Last month the House voted on the FY 2010 budget, and endorsed a more modest increase for REAP of $20 million. It did not add any funding for the Biorefinery Assistance Program or any other Energy Title program. Stay tuned for more updates – we expect Congress to act sometime in the Fall, after the August recess. For more detailed information on the FY 2010 process, visit our Appropriations page.